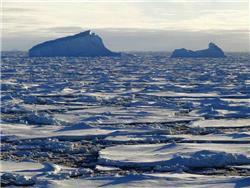 GNS Science said the Antarctic Ice Sheet is under threat – and urgent action is needed, according to new research led by New Zealand and US scientists. “We’ve long known that the way the Earth moves in space influences climate – both the shape of our passage around the sun and variations in the Earth’s rotational axis affect the distribution and intensity of incoming energy from the sun,” Dr Levy said. Large ice sheets first grew on Antarctica 34 million years ago as CO2 levels dropped and climate cooled. The Antarctica we know today formed less than 3 M years ago when CO2 fell below 400 ppm and year-round sea ice became a persistent feature. “CO2 levels have recently increased beyond that critical 400 ppm level – and if we fail to reach emissions targets, the Earth’s average temperature will warm more than 2 degrees, sea ice will diminish, and we will jump back to a world that hasn’t existed for millions of years,” Dr Levy claimed. “We know that sea levels were 20 to 30 metres higher during past intervals of peak warmth, and while it takes significant time to melt large volumes of ice, these snapshots from the past give us an idea of the possible magnitude of future sea level rise if we do nothing to mitigate climate warming. 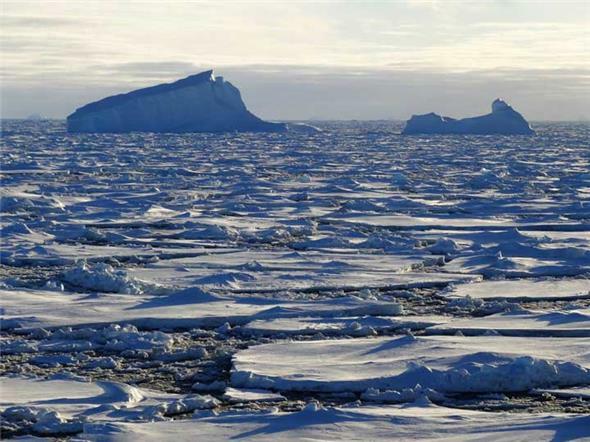 “The impact of unchecked ice sheet melt on our future societies would be extremely challenging. We want to do all we can to minimise future commitments”. Antarctic sea ice. Photo: Simon Reeve.